Bezel-less Display or 18:9 Display has been a trend this year. Here are top Mobile Phones with 18:9 aspect ration in India under Rs 7000.
iVOOMi i1 features a 5.45-inch HDDisplay Powered by quad-core MediaTek MT6737m processor with 2GB of RAM and 16GB of internal storage. On Camera, it has a with a 13-megapixel + 2-megapixel Dual Rear Camera with LED flash and autofocus and 8-megapixel front-facing camera. Dual SIM device runs on Android Nougat. Packed with a 3,000mAH battery.iVOOMi i1s with 3GB RAM, 32GB storage priced at Rs 7499. 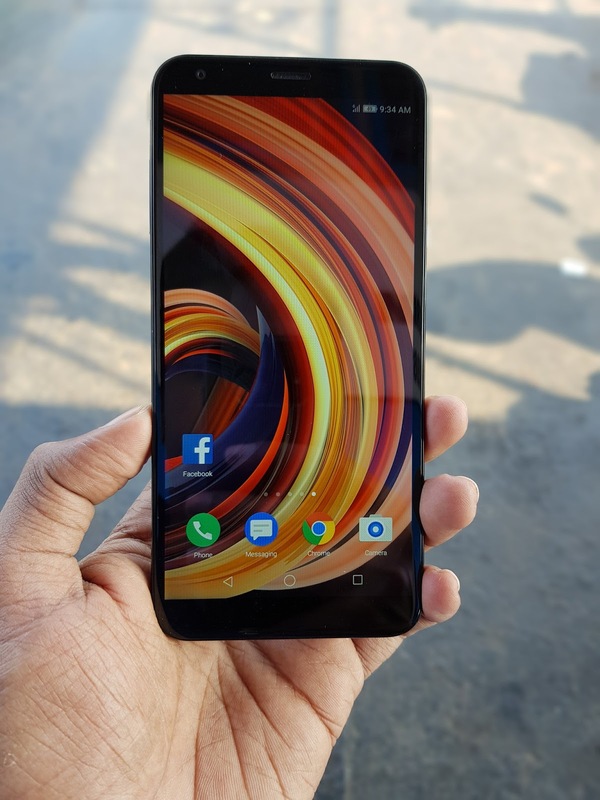 InFocus Vision 3 has a 5.7 inches, 720 x 1440 pixels IPS 18:9 display Powered by 1.3GHz quad-core MediaTek MT6737H Processor with 2GB of RAM and 16GB of internal storage. Dual SIM device runs on Android Nougat with Smile UX. On Camera, it has a 13 MP+ 5MP Dual rear camera and 8MP front-facing camera. Packed with a 4000mAh battery. Tambo TA4 has a 5.45-inch (640 x 1280 pixels) 18:9 aspect ratio display powered by 1.25GHz quad-core MediaTek MT6737 64-bit processor with 2GB RAM, 16GB internal memory, expandable memory up to 64GB with microSD. On Camera, it has an 8MP rear camera with dual LED Flash and 5MP front-facing camera with LED flash. Packed with 3000mAh battery. Panasonic Eluga I7 has a 5.45-inch HD+ 2.5D curved display powered by 1.3 GHz quad-core processor, 2GB RAM, and 16 GB storage expandable up to 128GB. Dual SIM device runs on Android Nougat 7.0. The Phone has an 8MP Auto Focus (AF) rear camera with LED flash and 8MP front camera with LED flash.Packed with a 4000mAh Battery. It sports a 5.45-inch HD+ Full View Display 720×1440 pixels) with an 18:9 screen ratio powered by a 1.5GHz Quad Core MTK 6739 processor with 2GB RAM and 16GB Storage. Packed with 4000mAh battery. On Camera, it has a 13MP + 2MP Dual Rear Camera with soft flash featuring a Sony sensor with 5P Largan Lens and an 8MP front camera with 4P Samsung Lens. Running on Android 8.1 Oreo, the also has Facial Recognition feature.